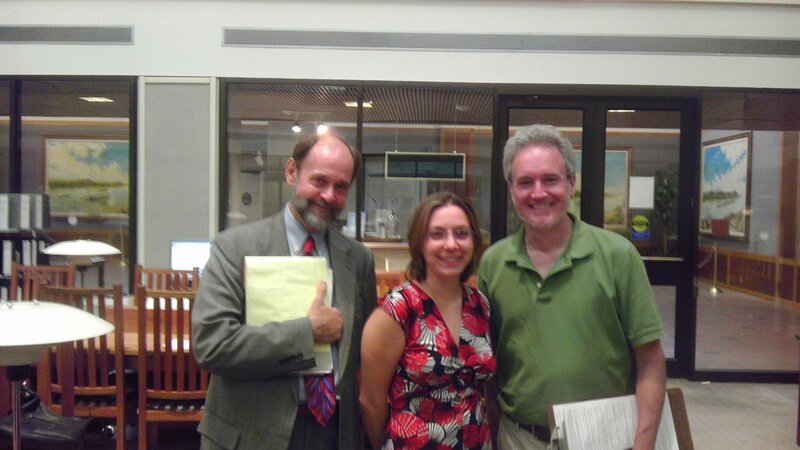 On July 7, 2011, I went with the board of the Show-Me Cannabis Regulation PAC to Jefferson City, Missouri, to file the first text of the Show-Me Cannabis Regulation ballot initiative with the Missouri Secretary of State. It would take a further two resubmissions before the Secretary of State would approve the petition for signature collection, and ultimately we would fail to gather the required number of signatures to achieve ballot status. Yet it was a historic moment as we presented the initiative text to Robin Carnahan’s office staff: it marked the first time in Missouri history that a statewide effort would back marijuana law reform. While there had been some effort previously to change marijuana policy in Missouri, meaningful activism had only really happened at the local level. In 2004, Columbia would pass decriminalization and medical marijuana ordinances by a landslide (60%). Joplin, Missouri, had an active and thriving marijuana activist base that had been cultivated by Joplin NORML (I first met these excellent folk when they traveled to Columbia in May 2010 to protest a night-time marijuana SWAT raid by Columbia police that left two innocent dogs dead and a family traumatized). I am unfamiliar with the extent of marijuana reform activism in Kansas City or St. Louis, though both cities had NORML chapters of some size and were somewhat organized. The only other effort to change marijuana laws in Missouri that I was aware of came in the form of a medical marijuana bill that was introduced in the Missouri Legislature; unfortunately this effort historically had gone nowhere, as most of the legislators in Missouri are either proponents of these failed drug prohibition policies or unwilling to take the political “risk” of breaking from the establishment line. It wasn’t until May 2010 that I began to consider the possibility for a statewide marijuana reform effort. This was catalyzed by the release of a training video made by Columbia police of the Kinloch Court night-time marijuana raid, which shows a SWAT team storming a Columbia residence, shooting two dogs, and arresting the homeowner in front of his family. The YouTube release of the video attracted international controversy, and sparked a tremendous outrage from the citizens of Columbia. I had recently formed a small nonprofit, Americans for Forfeiture Reform, to work on issues of civil and criminal asset forfeiture in the United States. For those unfamiliar with the subject, asset forfeiture (or seizures of property by the government) is intimately related to the militarization of domestic law enforcement and represents the off-budget, non-appropriated revenue stream that funds drug law enforcement. The Kinloch SWAT raid provided me a perfect opportunity to frame all of these issues in the context of a brutal act of state-sanctioned domestic terrorism, and I did not hesitate to make the argument as boldly as I could. At the end of May 2010, I would finally meet Columbia defense attorney Dan Viets, who also serves as the chair of Missouri NORML. We began talking about the possibility for organizing a ballot initiative, although Dan cautioned that it would be an expensive and difficult proposition. I immediately began looking for funding through various channels. For the rest of 2010, I traveled the state and reached out to hundreds of complete strangers hoping to find the hundreds of thousands of dollars that it would cost to run a successful ballot initiative. It was hard because Missouri does not have a domestic marijuana industry that can support political action. Ultimately, I had the most success reaching out to people who had been victimized by paramilitary marijuana SWAT raids (file Sunshine requests for marijuana SWAT warrants, contact victims, listen to their stories, tactfully ask if they are able to support political change, repeat). It was an emotionally difficult process. Most ordinary citizens only experience SWAT policing through the lens of commercial television and government propaganda, neither of which are good sources of information on the subject. It is difficult to understand what it means to have your dwelling suddenly and violently stormed by men with automatic weapons and other tools of war. And the courts do not offer much relief; the police and prosecutors who profit from the enforcement of drug prohibition are not inclined to respect the inalienable rights of Americans, and the judges are in similar thrall to the system. I remember making this point very clearly to the Columbia City Council; that this kind of law enforcement is the worst kind of law enforcement, because it silences the voices of the terminally disenfranchised and allows the commodification of their rights and liberty by a system that is morally and intellectually bankrupt. I believe it was in January 2011 that I finally found other stakeholders willing to join the effort of organizing a statewide initiative effort. Mark Pedersen of Patients Without Time sent me the draft legalization legislation written by Jack Herer, and we used that as a basis for drafting a Missouri-specific text. In March Amber Langston joined the team; she had previously worked with Students for Sensible Drug Policy and other reform organizations on a national level. Attorney Dan Viets represented Missouri NORML, of course, and gave us invaluable legal advice. My friend Abhi Sivasailam was also a key part of the drafting committee. We also consulted a variety of other figures, including Steve Fox from the Marijuana Policy Project and Tom Angell from Law Enforcement Against Prohibition (it was Tom who advised us to call the PAC “Show-Me Cannabis Regulation” instead of “Show-Me Cannabis”). In August, I found John Payne, a researcher with the Show-Me Institute, was looking for a new opportunity; in October or November, John would join the campaign formally, and proved to be a superb organizer. On May 6th, 2012, the Show-Me Cannabis Regulation campaign failed, turning in a fraction of the signatures necessary to make the November 2012 ballot. Yet I count this effort a success, as it allowed us to identify and organize thousands of Missourians willing to undertake the future work of repealing marijuana prohibition in Missouri. In a greater sense, thousands of Missourians for the first time recognized that they had common cause in this undertaking, and found their voices and the courage necessary to speak of their hopes and fears again. This was a great victory. What is the future of marijuana law reform in Missouri? I have some thoughts. First, many consider that it may be possible to collect signatures for another statewide ballot in 2014. I do not counsel this, because a midterm election does not draw out many vital constituencies that vote in presidential elections, and even a well-funded campaign may fail. Instead, I argue that the focus should be on a city-by-city effort to decriminalize marijuana penalties; this has the added benefit of allowing us to create well-organized groups of supporters throughout Missouri with the experience necessary to achieve statewide success in 2016. Second, I believe the November 2012 election will bring much new blood to the Missouri legislature, and I believe a well-coordinated lobbying effort will result in the Missouri legislature decriminalizing marijuana penalties and possibly even passing a medical marijuana or hemp legalization bill. Third, funding was the most significant issue we encountered on the campaign trail. Literally hundreds of thousands of dollars were promised us by various funders and organizations, but not very much of it actually materialized. A successful statewide campaign in the future will absolutely and essentially depend on the ability of Missourians to understand that the game is in their hands, and that they must sacrifice time and money to make this future effort successful. In some ways, I consider this process one of bringing people back into the sphere of participatory democracy. Although I organized the Show-Me Cannabis Regulation campaign and the board of directors, I do not speak for them. This account is necessarily incomplete; a full reckoning would betray many confidences, and many people still do not feel comfortable expressing their support in public. I deeply support marijuana and drug law reform. However, I urge readers to look at this from a broader perspective, and consider these issues from the perspective of A) revenue-driven law enforcement, B) property rights, and C) the social and political structure of democratic participation. My knowledge of marijuana reform in Missouri in the past is very incomplete. I should also point readers to this profile of attorney Dan Viets, who has represented marijuana reform in Missouri for over 40 years. Eapen, this is splendid! It’s what I guess I have been waiting for, to fill in the background that the series of FACEBOOK posts had not connected, since I came to this discussion late. This makes it clear that “marijuana reform” is not just getting high, but a campaign for justice against, as you say, a terrorist “law enforcement” that attacks the innocent. (And pardon me if I one-note once again the parallel I see to abortion; to the innocent unborn, the abortion is a SWAT team.) Thank you for leading the way to the society we claim to believe in! Cops are not known for showing common sense. They seem to be the mindless robots they dress and act like. Too many of them have been in the military which, as we know, dehumanizes them, because robots is what they want to be obedient. Sadly, the military takes no action to deprogram them back to the world.